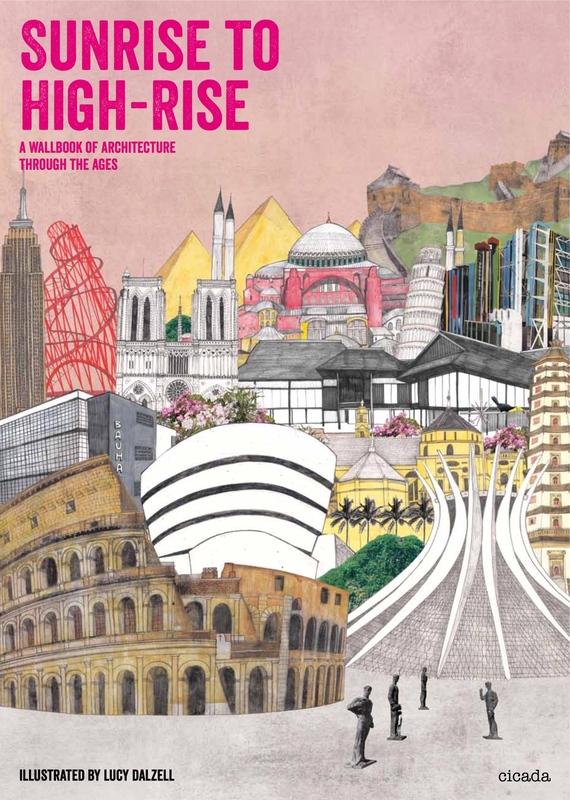 Sunrise to High-Rise is a concertina book that takes you on an exhilarating journey through the evolution of the built environment from Neolithic times till today. Lucy Dalzell’s delightful illustrations bring 70 of the world’s most iconic buildings to life, with short texts explaining the significance of each one. Two metres of illustration include: Stonehenge, La Sagrada Familia, Chrysler Building, Eames House, Salk Institute, Sydney Opera House, Pompidou Centre, Tate Modern, Jewish Museum Berlin and many more. On the reverse, simple explanations of historical movements in architecture provide a refreshingly accessible bird’s eye view of the subject. Luxuriously packaged with exposed greyboard edges and printed on heavy, textured paper stock, this is a gift book that will delight adults and children alike. Read it, hang it or frame it. Let the history of architecture unfold before you.